Go to a Thai restaurant anywhere in the world, and order a Massaman curry, chicken red curry or a vegetable green curry. You will have quite a lot in common with an Indian meal. Or, visit a Syrian, Lebanese or Turkish restaurant and there will be other things in common with Indian food. The same thing will happen if you go to a Mexican restaurant or a Moroccan one. That commonality is spice. We Indians are not the only country who uses spice. We are not even the first! Greece is where methi and coriander are said to have originated. After all, methi is called fenugreek. Greek! The name says it all (fenu, incidentally means hay). And coriander was mentioned in the Greek comedies of the 3rd century BC, long, long before anyone had heard of it on the subcontinent. Thai curries use zeera, dhania, haldi and chilli in each and every one of their curries. The miracle is that they don’t turn into desi mutton masala, but into Thai curries. The trick is that they use these spices in conjunction with ingredients that find no place in Indian cuisine. For example, have you ever heard of an Indian cook chopping or grinding coriander (cilantro) root? Yet, the Thais, given the choice between cilantro leaves or root will opt for the root every time. 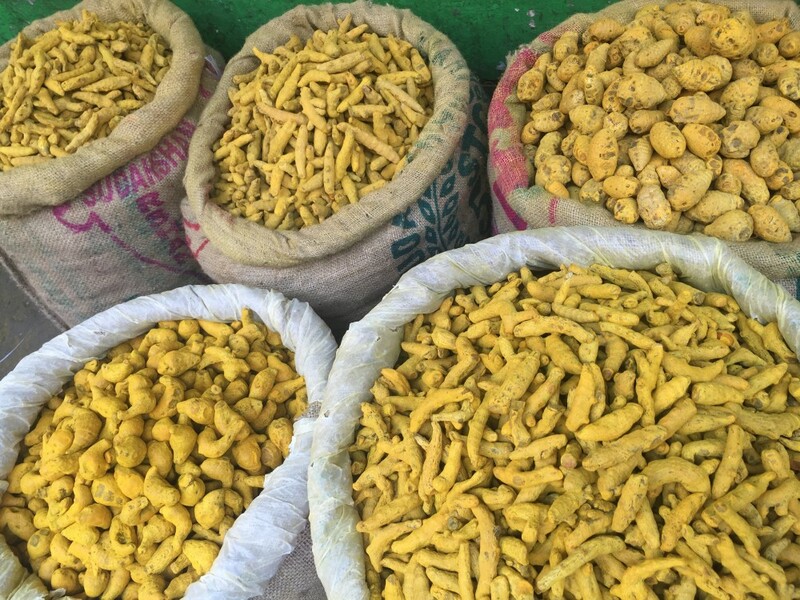 Their turmeric is almost always fresh, rather than dried and coconut milk, galangal, lime leaf and lemongrass flavour their curries. 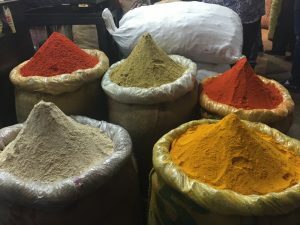 In contrast, in India, the big four, which is how I like to think of cumin, coriander, turmeric and chilli, is used in conjunction with an onion or a tomato in the North. In coastal India, they are used with coconut milk, but never with lemongrass etc. And they are usually used in far greater quantities than other countries do. 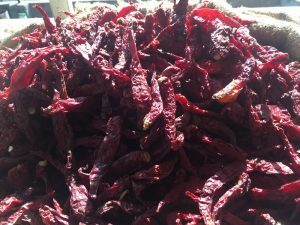 Mexican food uses industrial quantities of chillies. They have far, far more than we do. 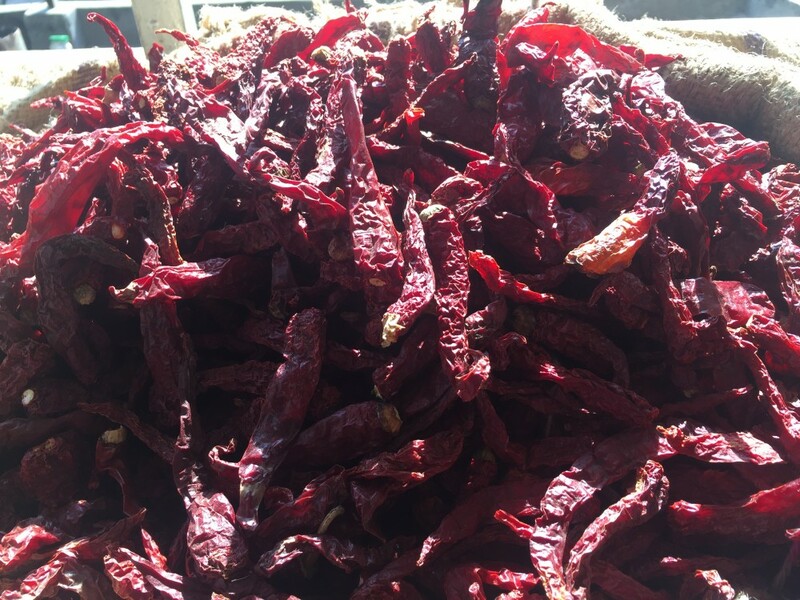 They even are closer to the original land where chillies supposedly originated – Bolivia – than we are. 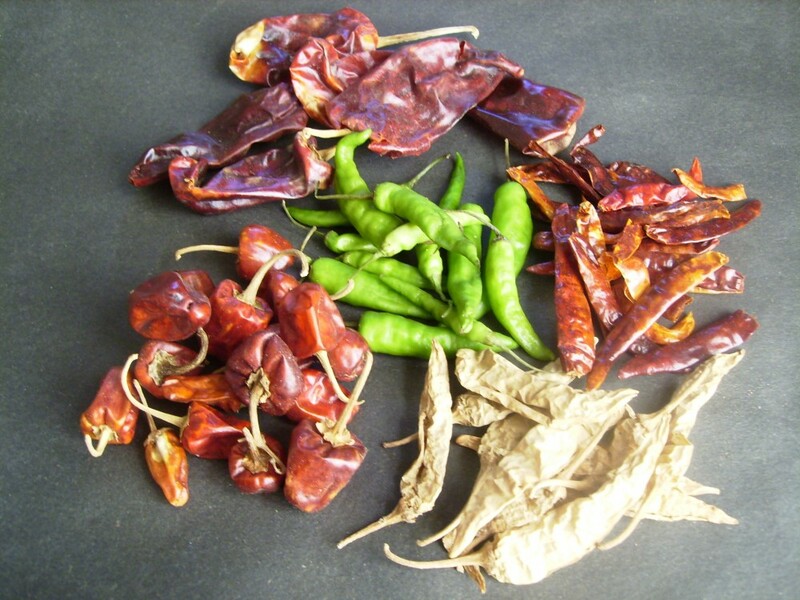 Mexicans have been using chillies for millennia and it shows in their cuisine. There are over 200 types, each having a distinct flavour profile. Not all are pungent, though, those that are, are incendiary. The prime example is the habanero. Indian cookbooks specify how much of chilli to be used in a dish: half a teaspoon or to taste. 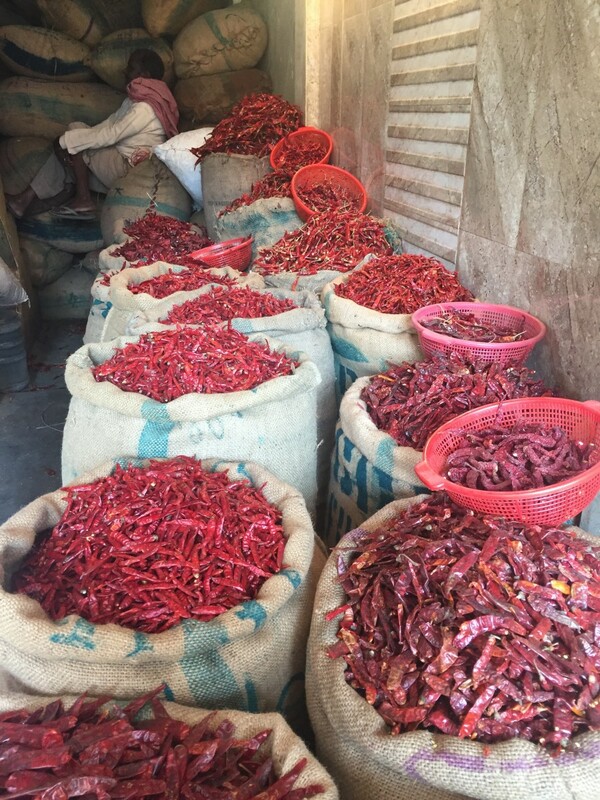 Nobody tells you which type of chilli to use, but even we have a vast range of chillies in our country, even if they lack the variation in flavour profile of their Mexican counterparts. Our famous chillies include Kashmiri (which is a bit of a misnomer because not everything that goes under that name grows in Kashmir), Kundapuri, Guntur Sanam, Bedgi, Naga Bhut Jolokhia and Tamilian gundu. No meal from the Middle East is complete without sesame paste, made from til and quantities of cinnamon powder. The list goes on and on without end. Try looking for fenugreek in Greece. It has simply vanished from the country. It is as if the Greeks invented a spice for Indians to use. Once it took hold in India, it disappeared from Greece. All mezze – those irresistible snacks that we think of as being Lebanese – use a certain amount of spice. Sesame and cinnamon top the list, though cardamom, coriander and cumin make their appearance. I am a fancier of spices, so wherever in the world I travel I amuse myself by buying – or pretending to buy – spices. In Rome, there is a sizeable population of Bangladeshis. I rooted among the stalls at the market in Via Turati where all immigrant communities buy their groceries, to look for panchphoran. 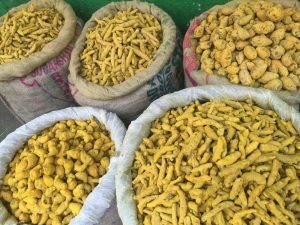 It is a very Bengali phenomenon, and is made up of fenugreek, fennel (saunf), mustard, kalonji (onion seeds) and radhuni. Now the last spice is so obscure that many Bengali friends of mine don’t even know that it exists because when you buy panchphoran, you buy it readymade. The tiny seed, no larger than a dot, has a mild, nutty taste and is also called celery seed. Or maybe the latter is another herb altogether and some western writers have confused it. No matter: whatever its provenance, it took me to all sorts of ethnic places within Rome, sometimes just one street removed from some impossibly fashionable address, at which Bangladeshi faux jewellery dealers would shake their heads sadly as they remembered the food their mothers cooked, with real panchphoran which included radhuni. As compensation, Bangladeshis in Rome and London are privy to the best, largest and finest hilsa fish on the planet, straight from the River Padma. One or the other spice has been mentioned in various holy books. The Quran and the Bible both talk of mustard seeds in several contexts, usually to denote an infinitesimal quantity. The Prophet of Islam is, moreover, reported to have said that kalonji cures everything except death. The result is that in most Muslim countries, a cottage industry has developed around the manufacture of kalonji oil. Said to control diabetes, hairfall, cholesterol and a variety of disorders, tens of thousands of people all over the world drink it every morning. I wonder how many of them make the connection between their medicine and spice! On a trip to Hong Kong, I was prowling around a store selling Chinese medicine and spied a foot long curl of tree bark. As soon as I found out that it was cinnamon (it grows in China, Vietnam, Kerala and Sri Lanka) I bought it for a vast sum and have framed it on my wall. 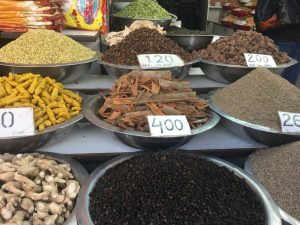 Spices have originated in various corners of the globe. Some have never traveled: Kashmir and Iran are still the largest two producers of saffron, because of climatic, soil and economic conditions. Others have spread far and wide: I spied coriander seed in a London shop that had come from Romania! One thing is clear: India is the world master of the vast majority of spices. Our cuisine speaks for that.